It is a very good day when new fabric arrives. 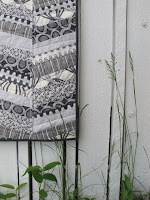 It is especially good when that fabric is the new organic solid range from Cloud 9 Fabrics. When Cloud 9 contacted me and asked me if I wanted a bundle to play with I totally hesitated. 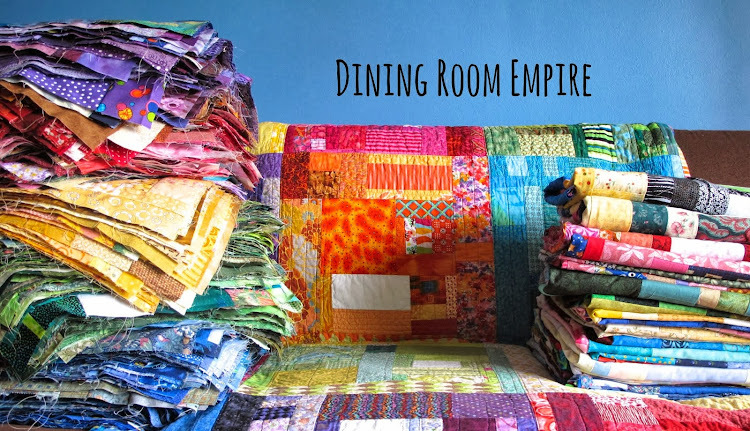 With so many quilts under construction I didn't exactly need more fabric, nor the obligation to make something. 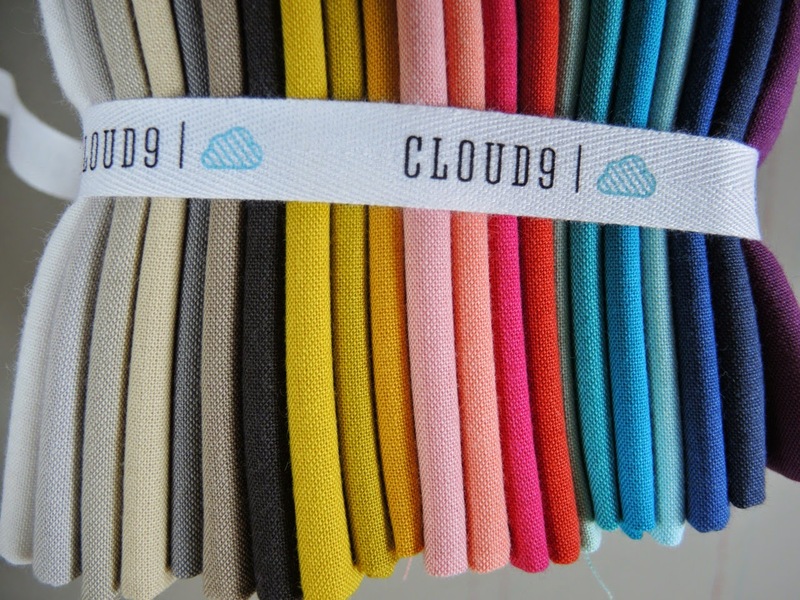 But I was intensely curious and I've always been quite impressed with Cloud 9's fabrics. At worst, I thought, I can add them to my Solid Sunday Morning. 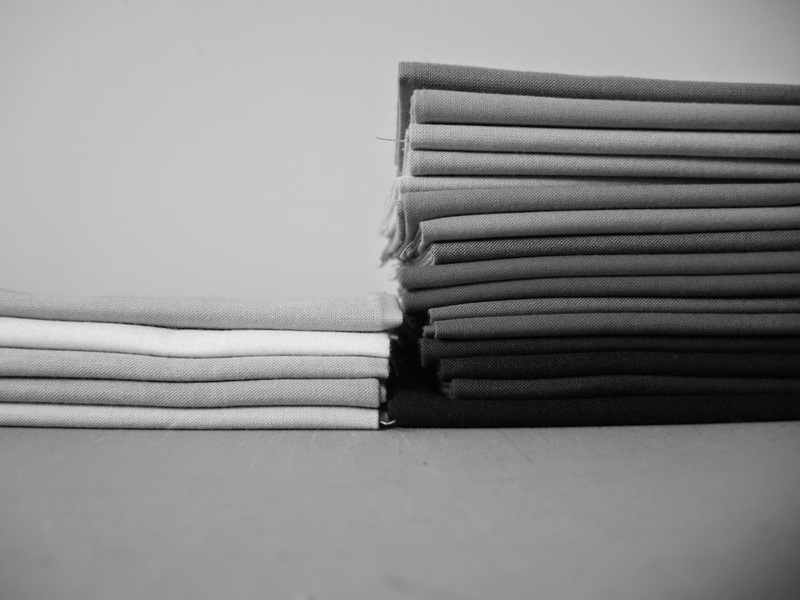 Then the fabrics arrived. What glorious colours. Some great greys and neutrals and those deep blues and turquoises. I was smitten. And I had an idea percolating in my head after teaching a Values class in September. The only thing that stopped me from cutting into them right away was my trip to Alabama. As soon as I could, though, I started sorting piles. Lights and darks, darks and lights, darks and lights and medium. I used the black and white feature on the camera to really get a good handle on the distinctions. 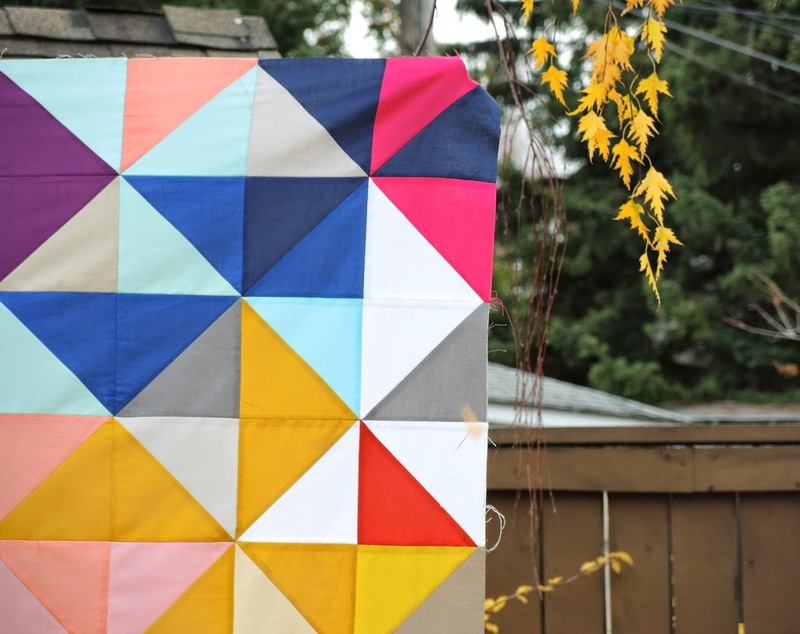 My plan was based on the Pinwheel quilt from A Month of Sundays, with a twist. Value distinctions were going to be very important. 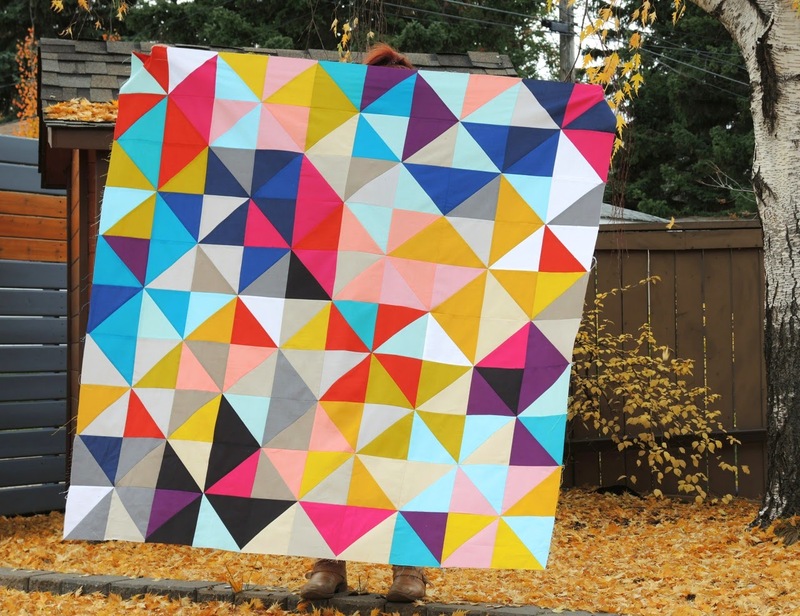 Instead of the big swath of white triangles as in the original, I wanted more pieced HSTs. But if those didn't look different than the pinwheel section the design would be lost. In the end, I made all my half square triangle blocks based on the piles above. Just random HSTs. Some with light/dark, most with dark/dark. I grabbed whatever came next and didn't worry at all about the combinations other than my values. And, it didn't work. There were just too many medium values muddying things up. If I had kept them out it might have worked. The quilt would have been small in that case and that's just not how I work. I'm going to keep the concept out there and maybe play with it again at some point over the winter. For now, however, it is still fall. A glorious fall. And in the last few days I played with all my HST blocks made for the original idea. The pinwheel concept stayed, but it looks radically different. I shared a few layout options via Instagram and received some great feedback. My initial pinwheels were the typical four patch pinwheel block, but that smart lady Victoria Gertenbach suggested some scale changes. I tried it and it was perfect. Thanks Victoria! The Cirrus Solids were great to work with. They frayed no more than any other solid, which was nice. The hand on them is amazing! So soft cut right from the bolt. 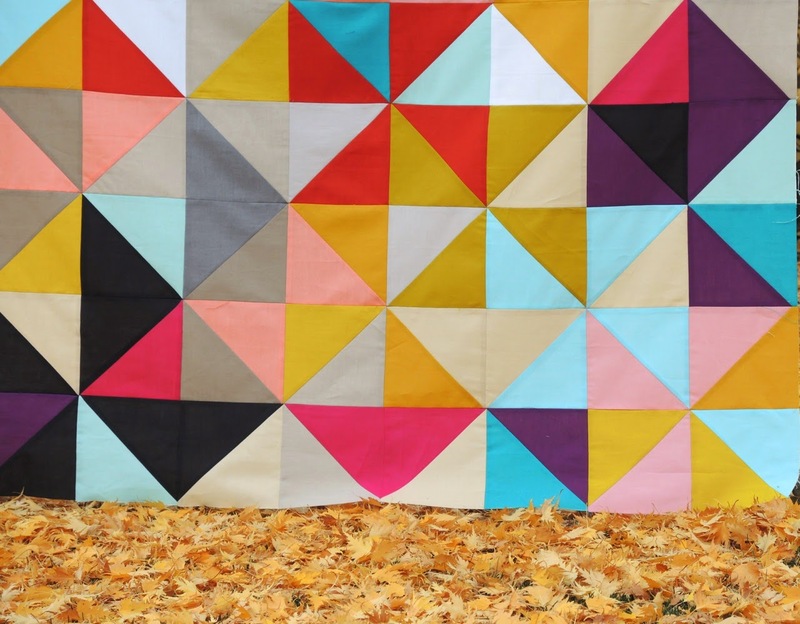 This quilt is going to be a dream to cuddle with when it is all done. 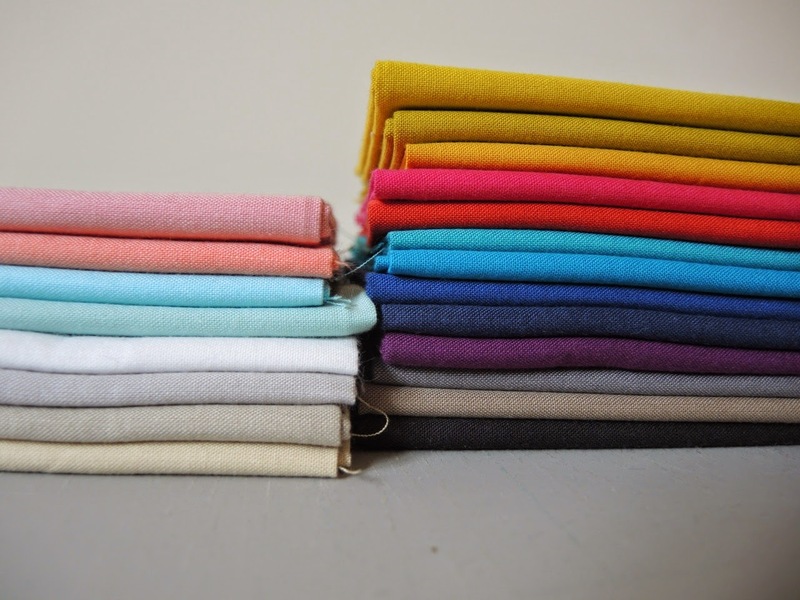 Right now Cirrus Solids are available in these 21 colours. 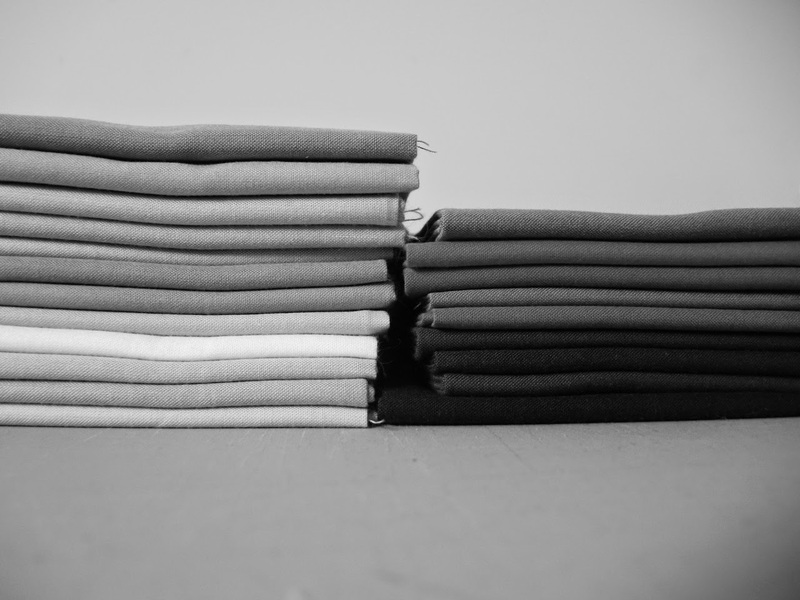 All are cross-weaves, which means it is two different colour threads that make up the fabric. But they aren't obvious cross weaves like the kinds where two very different colours are used. Subtle, but the texture of a cross weave is definitely there. 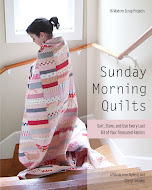 I do not know what Cloud 9's plans are for these, but I hope they take off at Quilt Market so that more colours arrive. Personally, I would love to see oranges, more lemony/buttery yellows, and grassy/minty greens. Solids aren't generally my thing, but I can definitely see these becoming a go-to source for me. 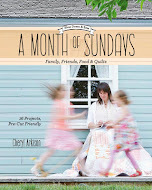 I love the end result and learning about your process. 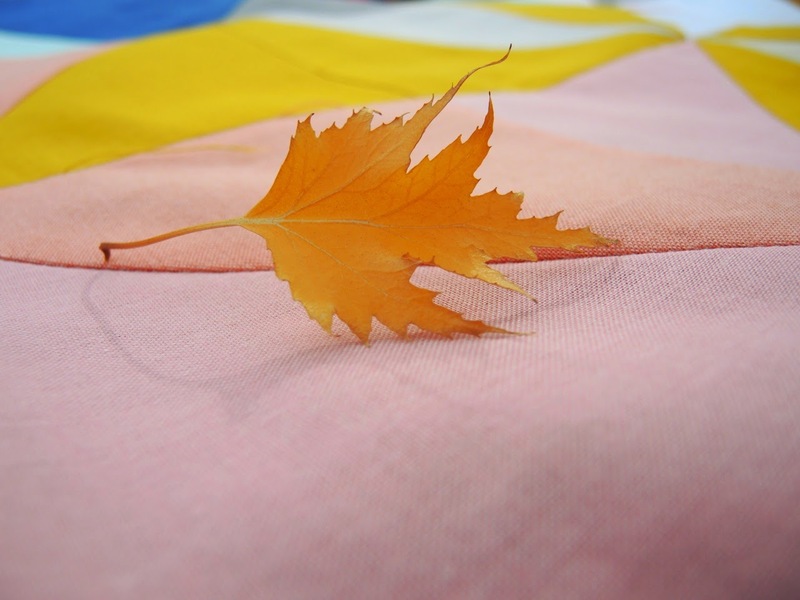 Your quilt makes me think of sunshine on this rainy day in Maine! I'm so glad more organic fabrics are available these days. Thanks for the black and white trick--great idea! I'm a super sucker for a HST so for me, this quilt has worked out beautifully. And yes, just changing the scale of those pinwheels was a little bit of magic. I love the mustard - not sure what it is right now but mustardy yellows are calling.